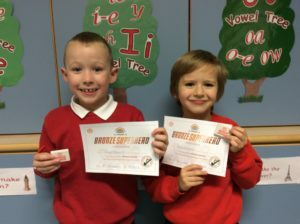 Jay and Owen achieved their bronze certificates last week. 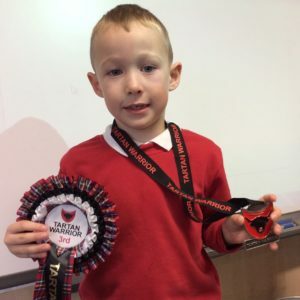 I am proud to say that now everyone in my class is working towards a silver certificate. Fabulous! 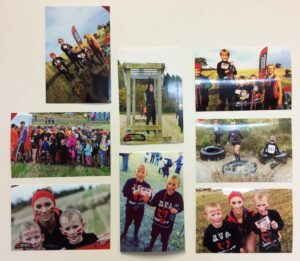 Jay and his brother Aston took part in a mudder to raise money for a cancer charity. 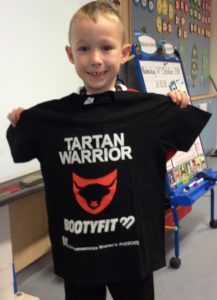 Their team came in third and they received a medal, rosette and a t-shirt. We are proud of them for being successful and responsible citizens by raising over £300 for their charity. 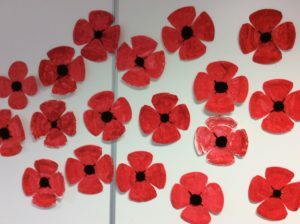 Look at the poppies we made as our contribution to celebrating the centenary of the end of World War 1. Here are last weeks golden ticket winners. They have had a great week of achieving in all aspects of school. 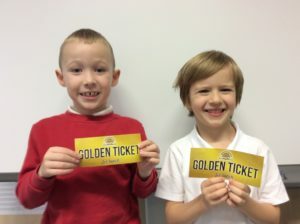 They were rewarded with the golden tickets for being good friends in the playground and working hard in class. Well done boys. Keep it up!